The attacks on African students were xenophobic and racial in nature, said African envoys who said that the incidents were not sufficiently condemned by the Indian authorities. The Heads of Mission accredited to India convened a special meeting to look into the recent attacks against African students in Greater Noida. They reviewed the previous incidents that have taken place in the past and concluded that no known, sufficient and visible deterring measures were taken by the government of India, said a statement on Monday. 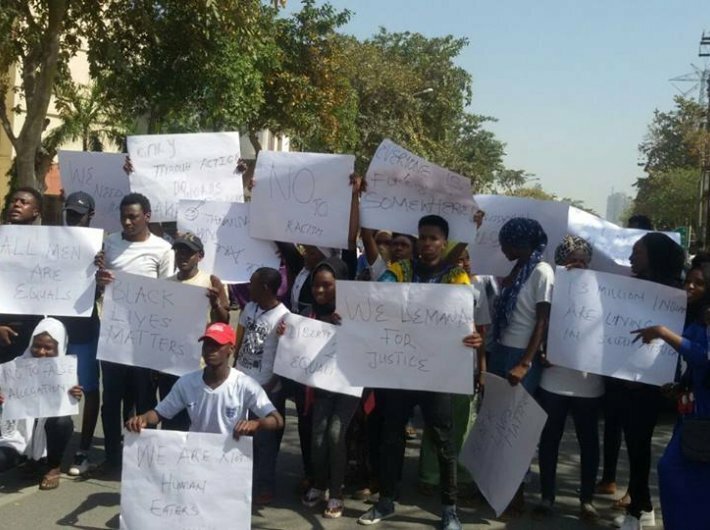 At least four Africans were beaten up in Greater Noida’s Pari Chowk area during a candlelight march for a 17-year-old boy who died on March 25. The statement added that as regards the recent incident in Greater Noida, the African Heads of Mission strongly condemned the incident and expressed their deep concern and also took note that these reprehensible events, both outstanding and unresolved cases against Africans, were not sufficiently condemned by the Indian authorities. The meeting unanimously agreed that those accumulated attacks against Africans are xenophobic and racial in nature. They equally expressed their expectations for strong condemnation from the highest political level, as well as expediting legal actions against the perpetrators. They agreed to take further action, including the call for independent investigation by the Human Rights Council as well as other human rights bodies, and also to comprehensively report the matter to the African Union Commission.